The incident occurred on the Foyle Bridge. Detectives are appealing for witnesses following an armed robbery of a shop in Carnlough last night, Thursday 06 July. 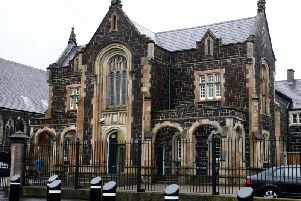 It was reported that at around 10.55pm 3 masked men, some carrying suspected firearms, entered the premises on Harbour Road and threatened members of staff. The males made off with a sum of cash and a quantity of cigarettes in the direction of Waterfoot. The members of staff were not injured but left shaken by their ordeal. A red Hyundai Accent car, believed to have been involved in the incident, was found on fire on Tower Road a short time later. Detective Constable Douglas is appealing for anyone who witnessed the robbery or anyone with any information that can assist with the investigation to contact Detectives in Ballymena on 101 quoting reference 1601 of 06/07/17. Information can also be passed anonymously via the independent charity Crimestoppers on 0800 555 111.